Pahang is the third largest state in Malaysia, after Sarawak and Sabah, and the largest in Peninsular Malaysia. The state occupies the hugePahang River river basin. It is bordered to the north by Kelantan, to the west by Perak, Selangor, Negeri Sembilan, to the south by Johor and to the east by Terengganu and the South China Sea. Its state capital is Kuantan, and the royal seat is at Pekan. 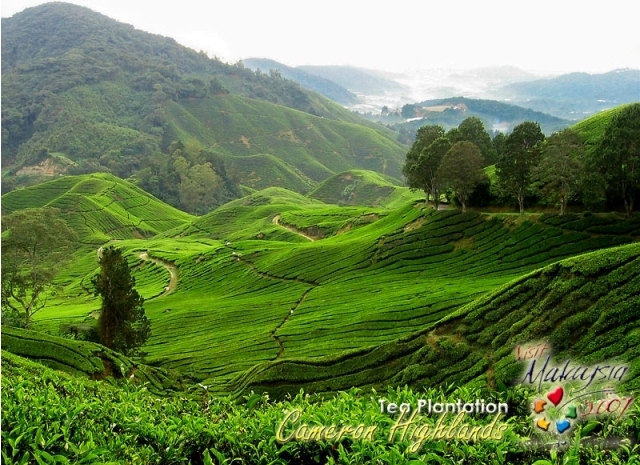 Other important towns include Jerantut, Kuala Lipis, Temerloh and the hill resorts ofGenting Highlands, Cameron Highlands, Bukit Tinggi and Fraser's Hill. Get up close with nature in this pristine environment, where animals wander freely. Take snapshots of interesting flora and fauna, as you discover much more. Broaden your knowledge and take a guided walk to learn the names of medicinal plants hidden in the jungle. Or be adventurous and swing across the river using tightly knotted ropes. Have lunch by the river, or simply just chill out taking in the beautiful scenery. Feed the monkeys, deer, snakes, sun bear and be adventurous! (This is the closest encounter you'll get to being one with nature). Have fun! 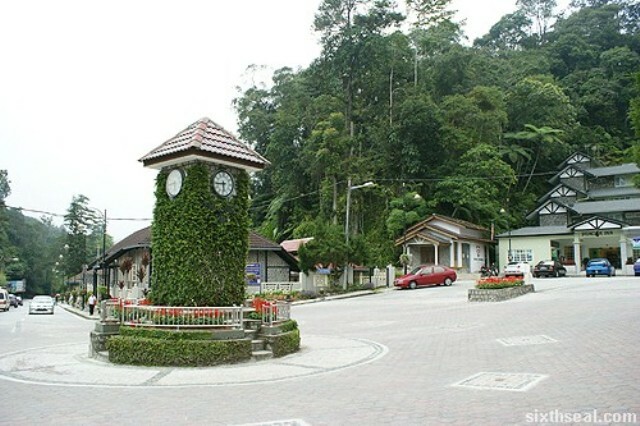 Sitting pretty amidst the Pahang rainforest is the little hamlet of Fraser's Hill. At 1,524 metres above sea level, this highlands resort is a naturalist's paradise that boasts innumerable plant, bird and animal species. This place is popular for those who are interested in nature-based pursuits such as trekking, bird watching, horse riding, fishing and camping. Access to Fraser's Hill is only possible by road via The Gap at the base of the resort. Once through The Gap and into Fraser's Hill, you will feel as though you have gone back in time. Fraser's Hill is akin to a little Scottish village with granite coloured mock Tudor buildings dotting the landscape. The town is relatively small, with much of the activity centred on a market square dominated by a little clock tower. Most of the town's amenities are housed in colonial styled buildings. Considered one of Malaysia's premier locations for bird-watching, this hill resort hosts the annual Fraser's Hill International Bird Race. This bird-watching competition requires watchers to race against time in spotting as many bird species as possible within the resort's routes. 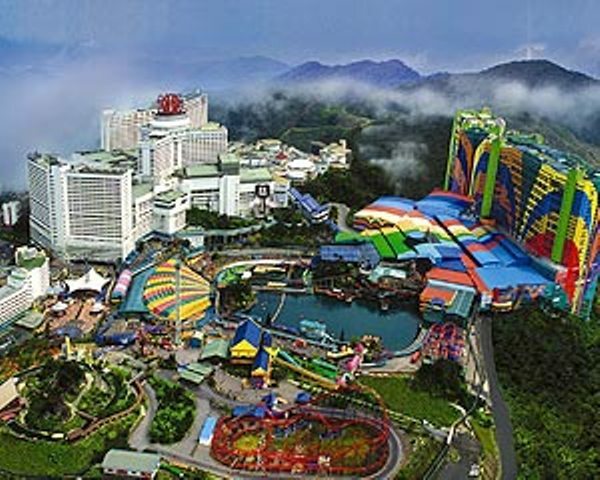 You can indulge in many relaxing activities at Fraser's Hill. Play a game of golf at the Fraser's Hill Golf Club or go fishing (only for catch and release) and boating at Allans' Water, stroll along the many beautiful flower gardens and parks or have an splash in the icy cold Jeriau Waterfalls. Firefly-watching is one of the main attractions in Sungai Lebam Wetland Preservation area. Catch the blinking lights and keep silent while watching the fireflies, to view the magical lighting wonders! 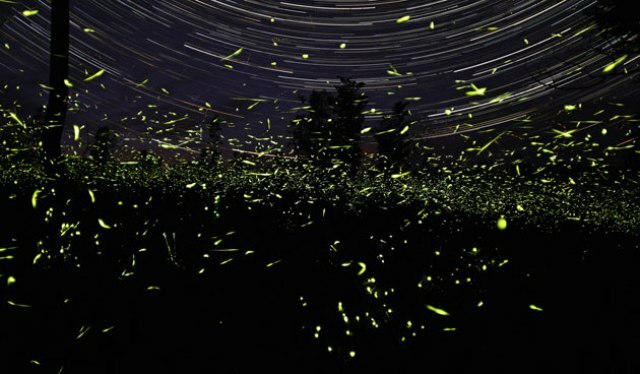 The fireflies congregate at a vast mangrove swamp, especially at the Berembang trees. They are harmless, and seeing it for the first time is always a magical experience! Come over and see for yourselves the amazing fireflies of Sungai Lebam. Covering an area of 121 sq kilometres in the Kenong Valley, Kenong Rimba Park lies in the south-west of Taman Negara. Within the park are some magnificent limestone caves. The sense of tranquility and quiet solitude are broken only by the chirping of birds and the cascading waterfalls. 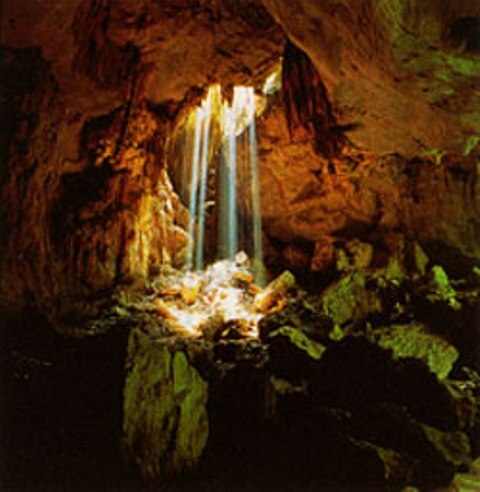 Each limestone cave is situated about half an hour's trek from each other. The most striking is the Gua Batu Tinggi, which resembles a dug-out boat. The Sungai Kenong River passes though this cave. Local folklore has it that the cave was formed when a boat carrying the Kings messenger from Pekan was turned into stone. This cave is approximately 122 to 152 metres above sea level. Here you can find a variety of plant life that includes orchids, fig trees and epiphytes. About 56km off the coast of Pahang lies Tioman Island, an alluring holiday paradise in the South China Sea. Acclaimed as one of the best island getaways in the world, Tioman was the location of the Hollywood musical, 'South Pacific' in 1959. According to legend, this island is the final resting place of a mythical dragon princess. The warm waters and good visibility make Tioman a paradise for divers. Discover astounding sights such as colourful Gorgonian sea fans, Staghorn corals, nudibranchs and beautifully sculptured sea sponges. Snorkellers can delight in swimming alongside huge Napoleon Wrasse, Golden Striped Trevally, Bumphead Parrotfish and shoals of Fusiliers. This island is an idyllic spot for leisurely days under the sun. Swim in its emerald waters, enjoy a stroll by the beach or be lulled to sleep by the sound of the waves. There are several villages scattered around the coastline, the larger ones being Salang, Tekek, Genting, Paya and Juara. Each village offers a different and unique atmosphere. Tioman's verdant greenery is home to a splendid variety of plants and small animals, including butterflies, monitor lizards, deer and monkeys. Its flora and fauna have been featured in National Geographic's documentaries. The island's granite formations make for excellent rock-climbing expeditions. The more adventurous can attempt to scale the sheer cliff face of the legendary Gunung Nenek Semukut or Dragons Horns. Berjaya Tioman Beach, Golf & Spa Resort offers a luxurious stay amidst a backdrop of rolling hills and scenic views.